XPO Logistics has initiated operations at a new French hub near Blois, dedicated to one of animal nutrition leaders Affinity Petcare. The site centralises Affinity’s logistics activities near its production plant in La Chapelle Vendomoise, with capacity to support the company’s development throughout France. 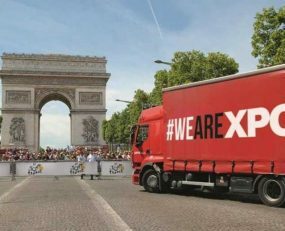 XPO has been a supply chain partner of Affinity in France for the last 15 years, managing logistics for raw materials, product preparation and delivery of cat and dog food. The new site will use an advanced sensor system to help employees manage over 364,000 packages and 500,000 pallets per year. Traceability and product quality will be strictly controlled.